Enter the building at the back of Norway. Your adventure is about to begin. As you wait to board the ride, admire the giant mural. 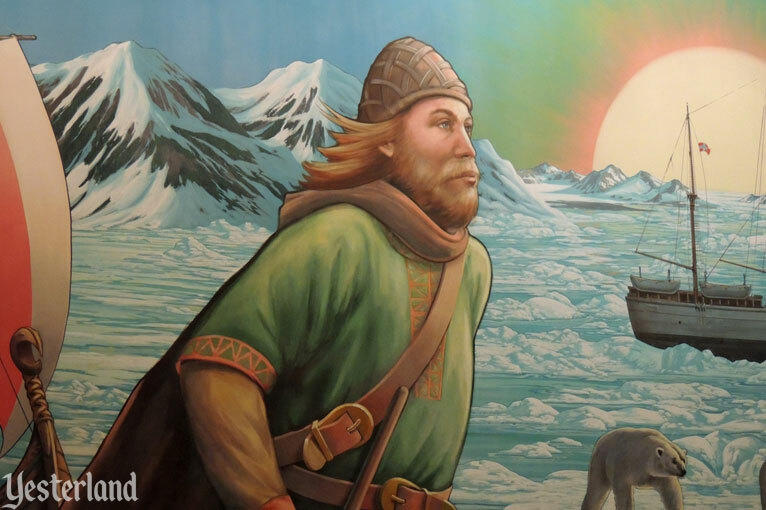 It includes Vikings, polar bears, an oil platform, and even a hidden troll. 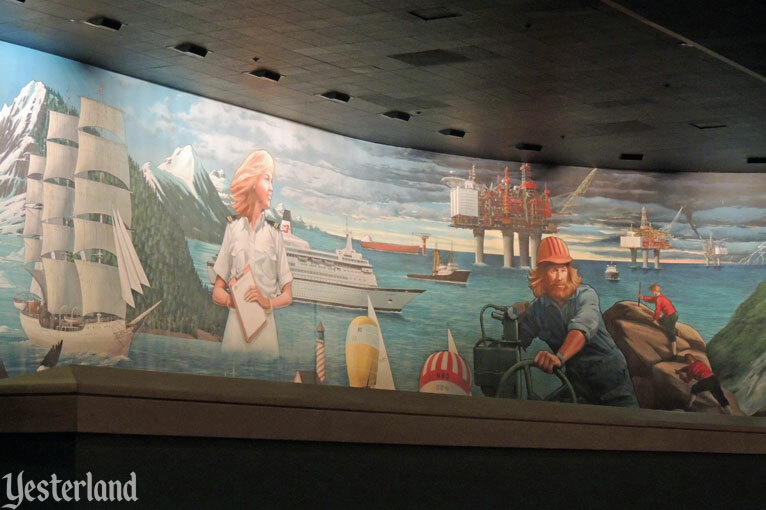 If you think this mural provides a preview of what you’ll see on the attraction, you’re right. It’s time to board a 16-foot-long langskip—a Viking boat with a dragon prow. After you leave the load area, your boat enters a dark tunnel with a steep incline. As you slowly ascend, all you see is a single bright light ahead of you. It turns out to be a mask. You might think this is a ride about Vikings, because that’s how it starts. But then it turns into a fantasy ride with a three-headed troll. 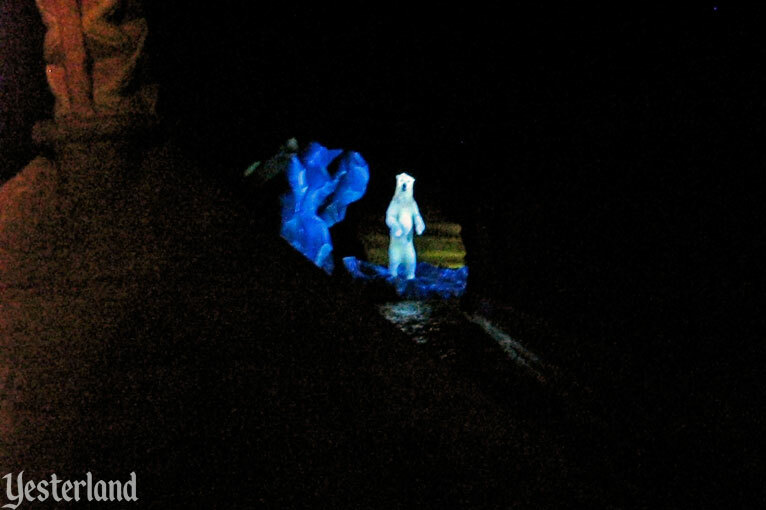 And then it becomes a nature ride with polar bears. And this is all a setup to a drop that takes you to a model of a North Sea oil platform on a cold drizzly night. Most of the ride is very dark, but at one point, there’s a big opening to the outside. Did you enjoy the ride? It may seem to have lacked any sort of cohesive theme, but it had one. When you disembark from your boat, you find yourself in a dark Norwegian fishing village. Names of Norwegian companies that helped sponsor this attraction are on the building façades. Surprise! This is a two-part attraction. 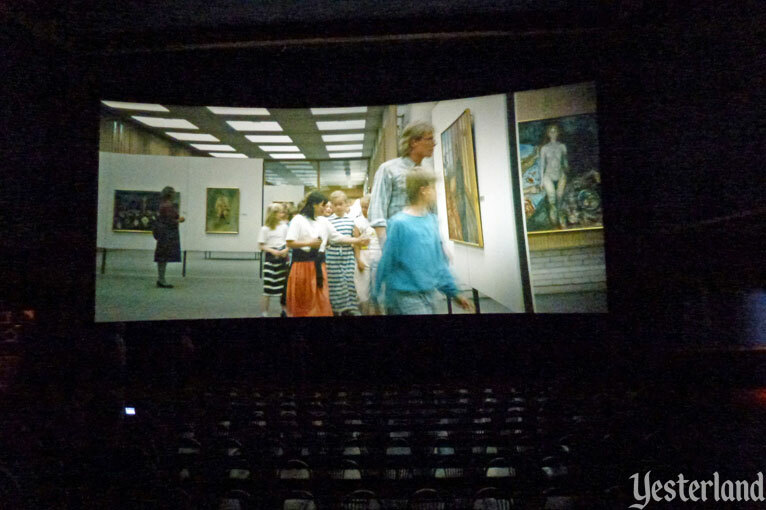 The second part is a 70mm movie called The Spirit of Norway. Oh, it’s not a surprise? You say you’ve already seen the movie several times and you don’t want to see it again? It’s only about five minutes long. 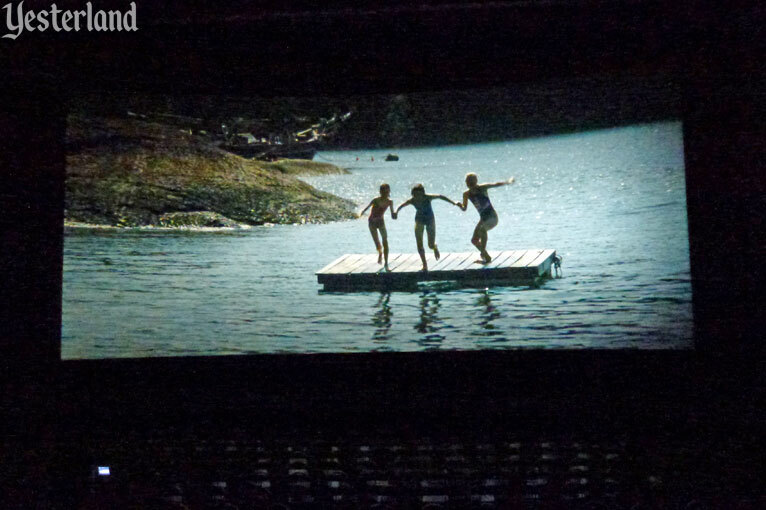 But, unlike the boat ride, the movie is not particularly repeatable. You still have to wait for the automatic doors to open. The doors remain closed until the current showing of the movie is over. This fishing village is a boring place. Finally, the doors have open! 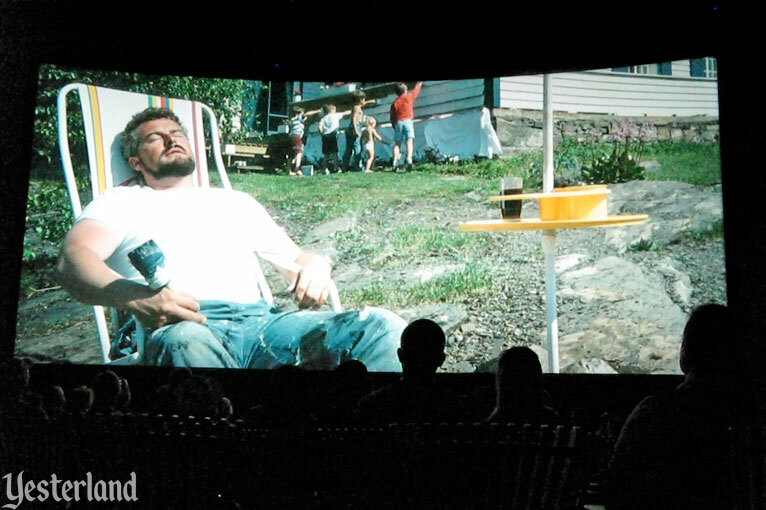 You only waited five minutes, but it felt much longer—especially if you have no intention of seeing the movie. Quick! 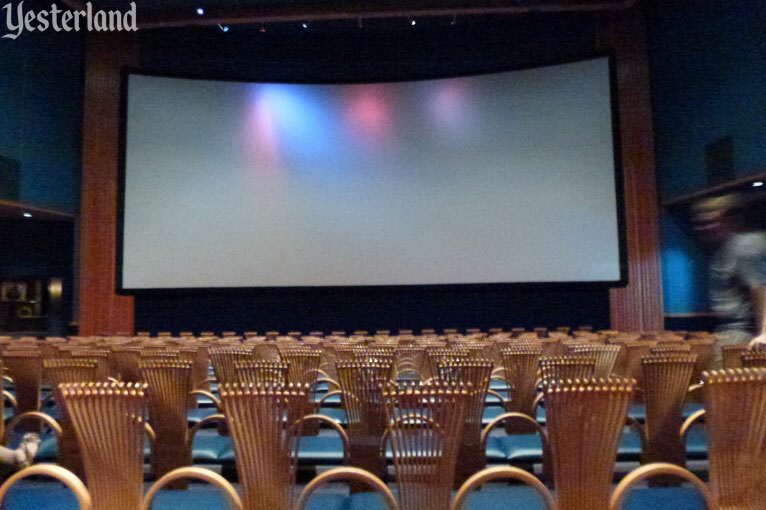 Walk across the theater before its exit doors close. Maybe you should stay. 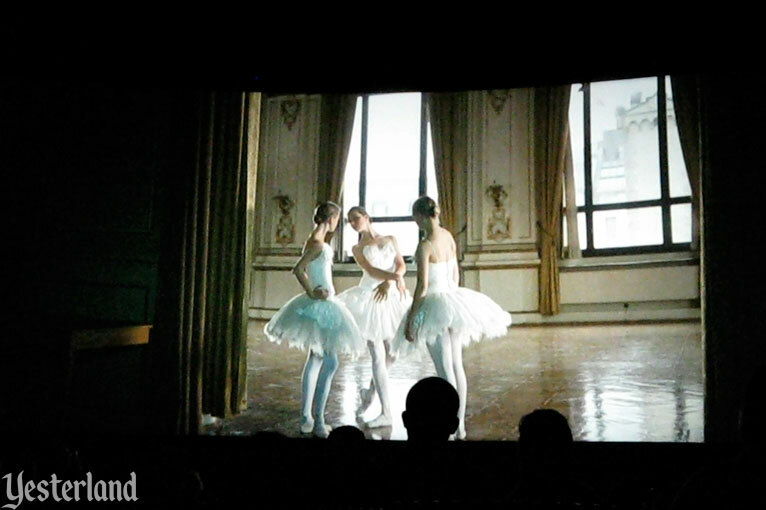 The movie is visually stunning and has great sound. 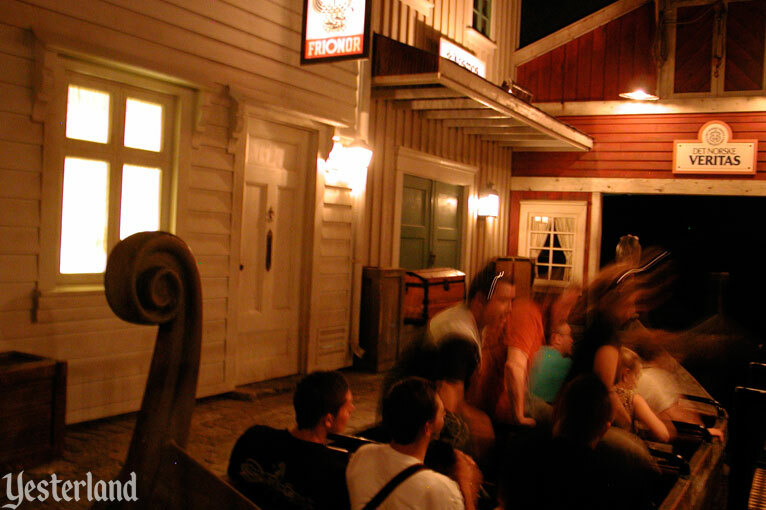 When the movie is over, you can talk with Cast Members from Norway. 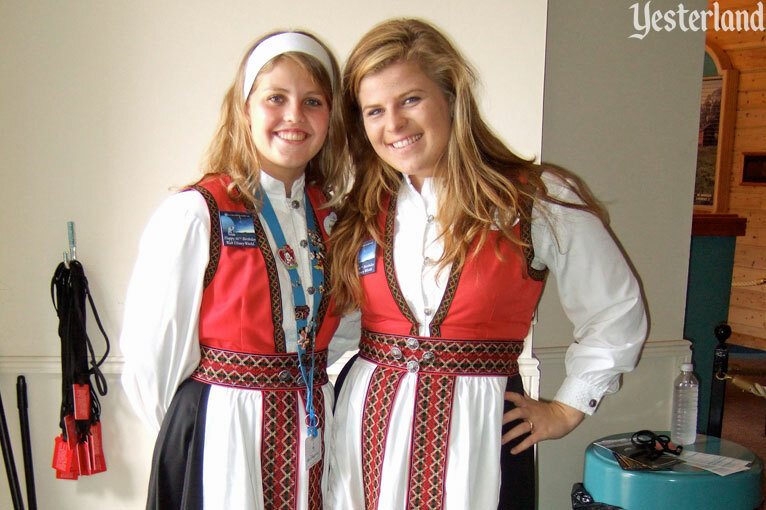 You might want to ask them if Norway is stuck in the 1980s—with fashions, sporting equipment, computers, and other technology firmly rooted in that decade. After all, that’s what you saw in the movie. 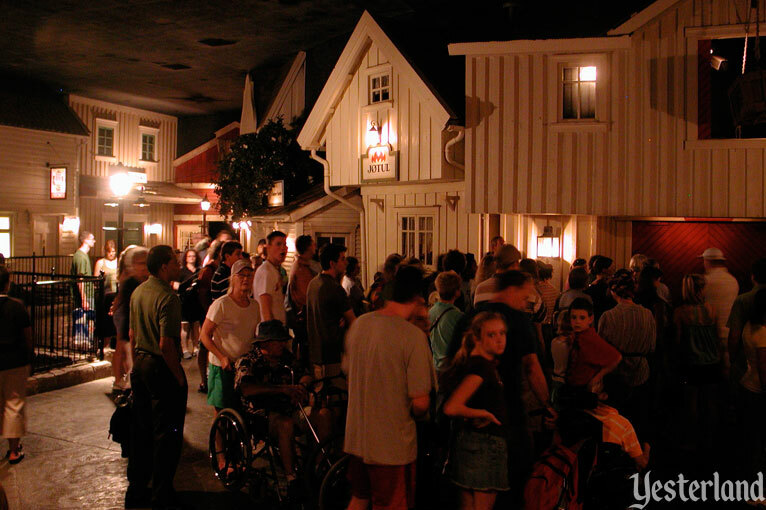 Maelstrom opened in World Showcase at Epcot Center (now Epcot) on July 5, 1988. 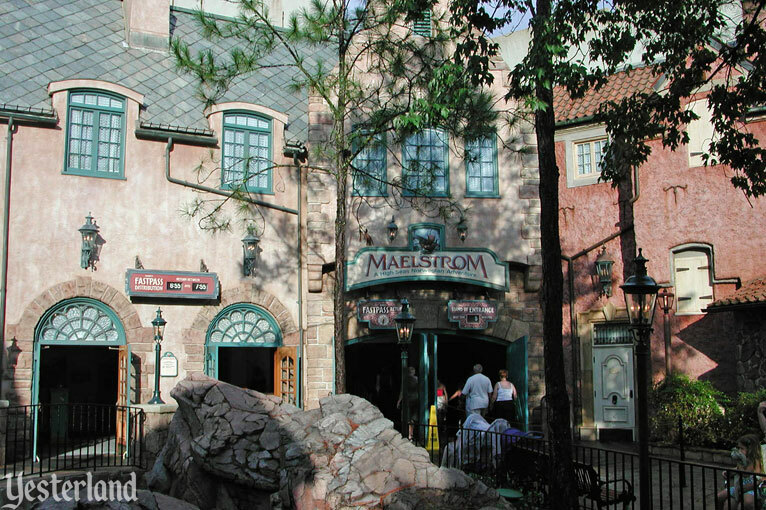 Maelstrom was supposed have had its grand opening on June 3, 1988. The rest of the Norway Pavilion opened, with Norway’s Crown Prince Harald V and Crown Princess Sonja (now the King and Queen of Norway) on hand. But the attraction wasn’t ready. 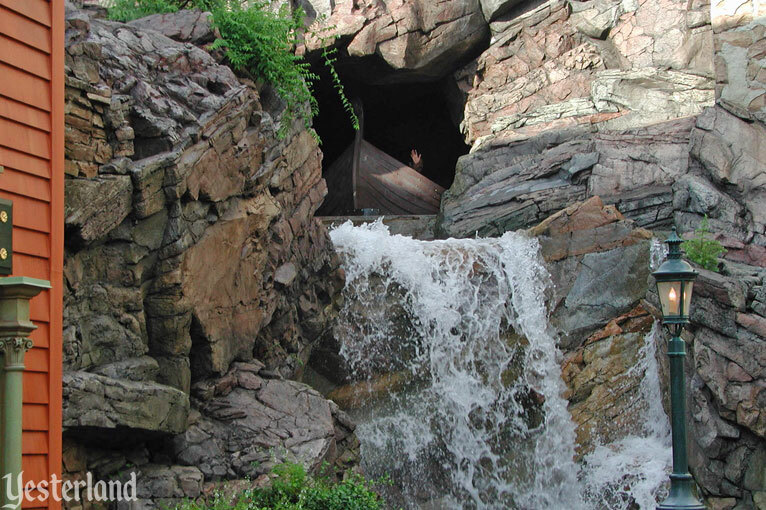 When was the last time you went over a waterfall… backwards? Had your life threatened by a nasty, old three-headed river troll? Came within a whisker of a 12-foot polar bear? Challenged white-water rapids? And braved a thunderous, storm-tossed North Sea? 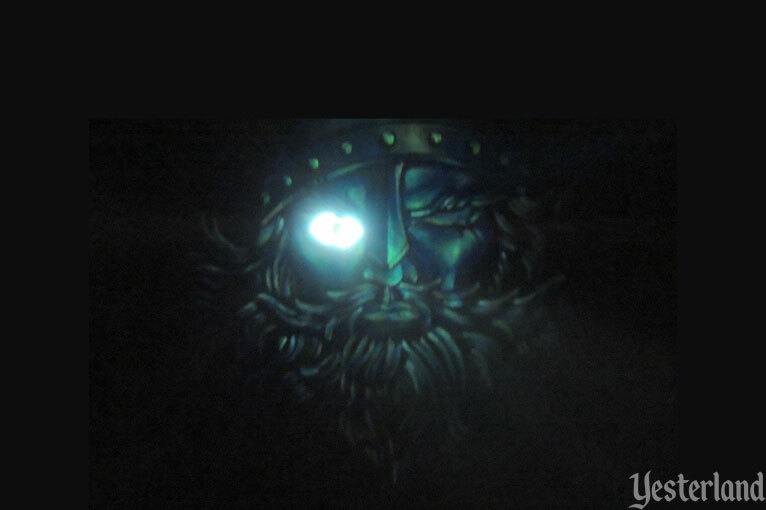 The last time may be the first time you ride “The Maelstrom,” the new thriller at Epcot Center. It’s a sea adventure of legendary proportions, now open in the fabulous, new Norway Showcase. So come on. Conquer “The Maelstrom.” All you need is the guts of a Viking. Tricky trolls are out to befuddle you as you explore the heritage of Norway in this adventure-packed boat ride. Watch for polar bears and pirates and hold on tight as you plummet backwards into the stormy North Sea! 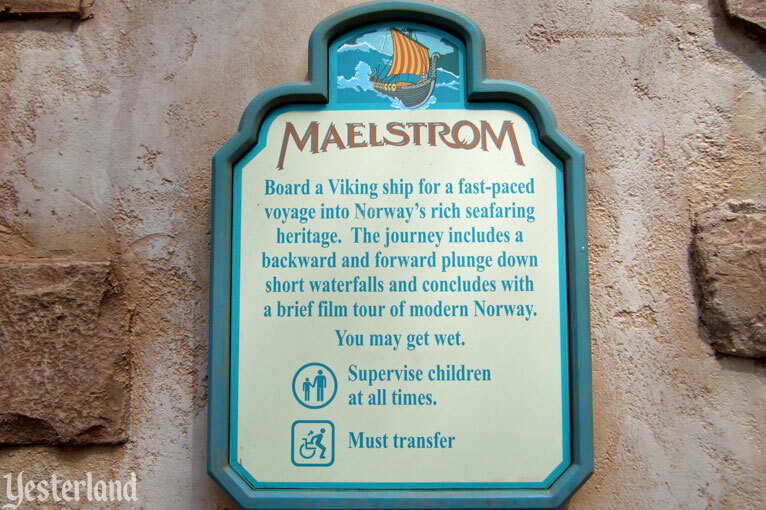 The spirit of adventure is always alive on Maelstrom. 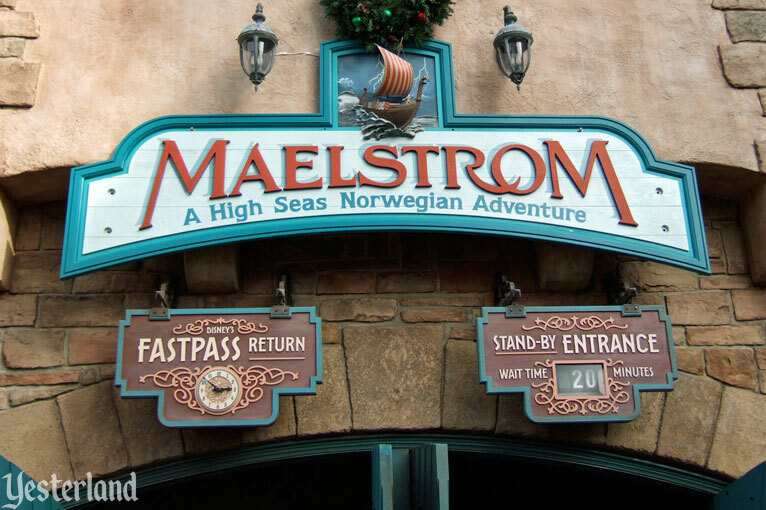 The spirit of adventure may “always” be alive (to paraphrase the website), but Maelstrom is now dead—another victim of the Frozen juggernaut. 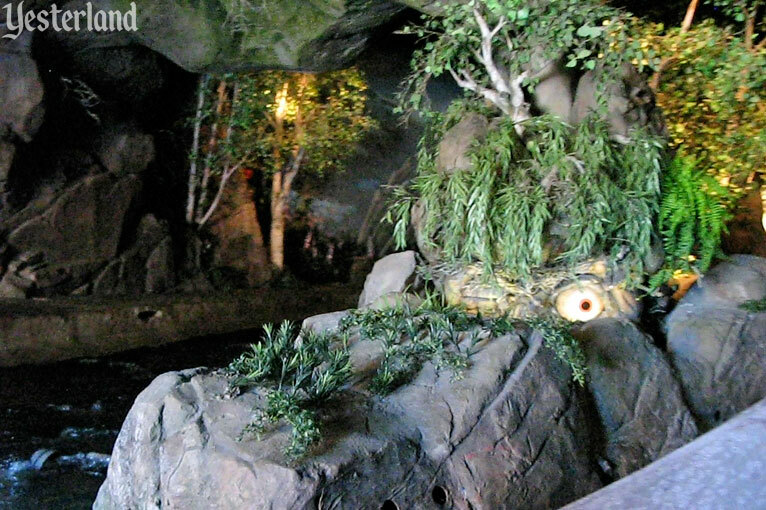 The attraction had one significant change sometime during its existence, probably around 2008 (although the actual date might be lost to history). 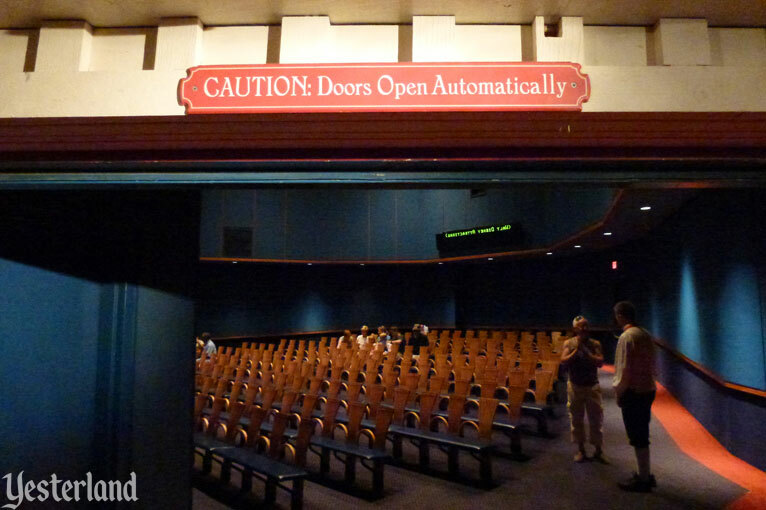 Instead of making guests wait in the dark fishing village, the entrance and exit doors of the theater remained open. 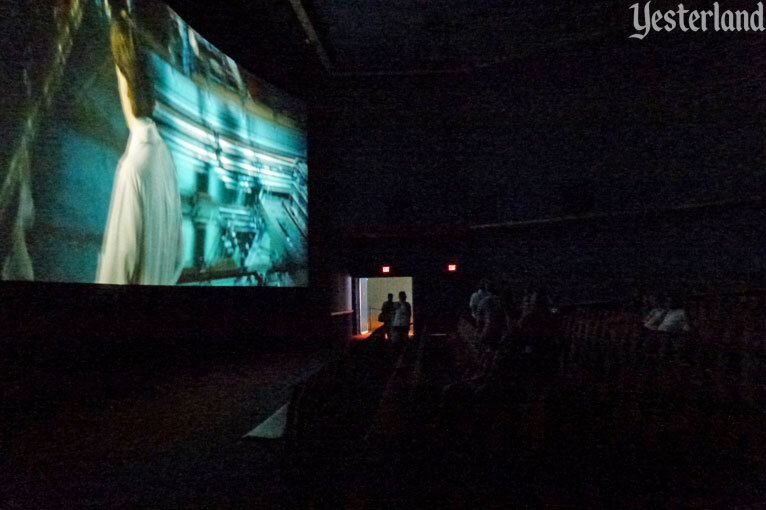 Guests could exit through the darkened theater while The Spirit of Norway was showing. It was a blessing for those who wanted to skip the movie, but it diminished the experience for those who wanted to watch it. On September 12, 2014, Disney announced that Maelstrom would be replaced by an attraction based on Disney’s animated megahit Frozen (2013). 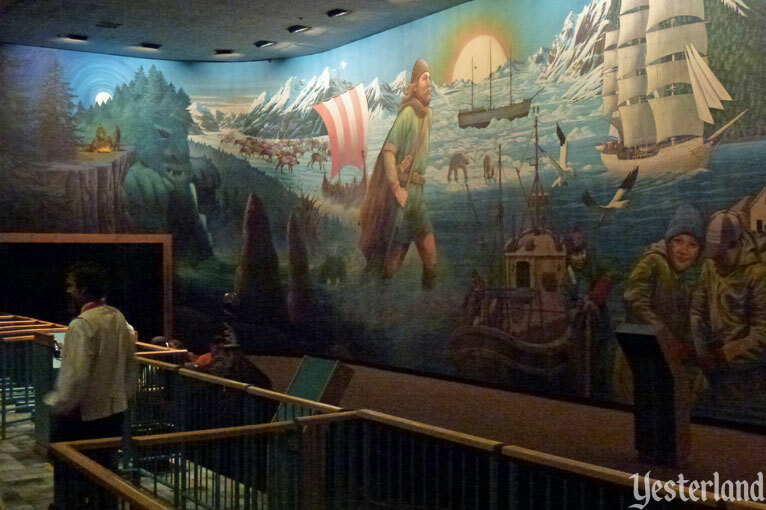 After more than 27 years, the final day for Maelstrom was October 5, 2014. The good news was that Frozen Ever After would not be a “book report ride”—one that attempts to retell the story of a feature length movie in a few minutes, with a few tableaux based on the film. Instead, like Mr. Toad’s Wild Ride and Toy Story Midway Mania, the new ride would use characters from the movie to tell a new story appropriate to the medium of theme park rides. 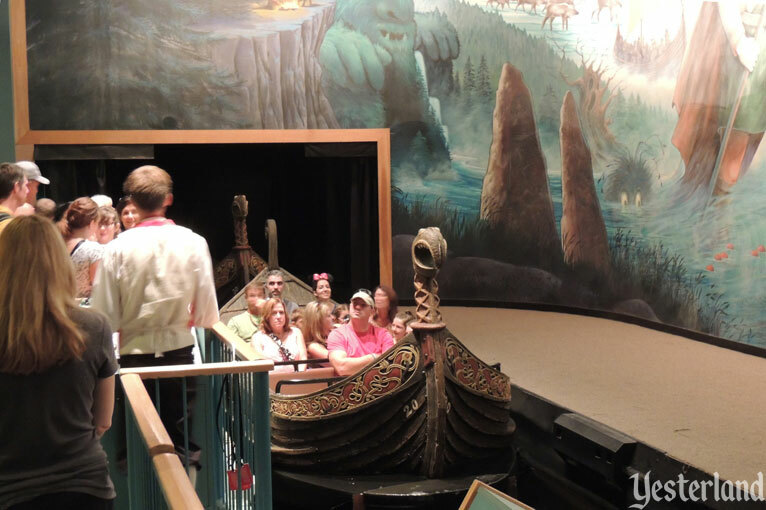 While fans of Frozen were delighted by the news of Arendelle occupying Epcot’s Norway, fans of the traditional vision of World Showcase were appalled that Norway would become even more of an outpost of Fantasyland—something that began when Disney Princess character dining moved into Norway’s Akershus Royal Banquet Hall and continued when an exhibit about how Norwegian culture inspired Frozen moved into the Stave Church. 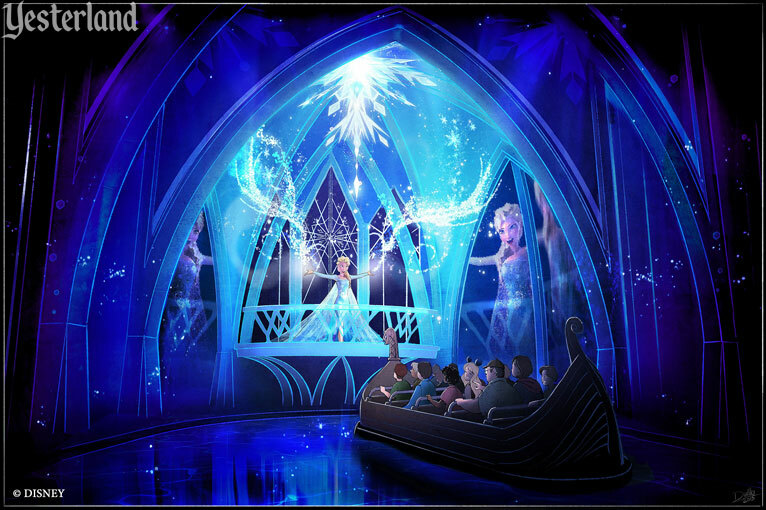 Of course, some may question whether the fictional world of Arendelle belongs in Epcot’s World Pavilion, which has always been about touring countries that actually exist, like Japan, Mexico, and Norway. 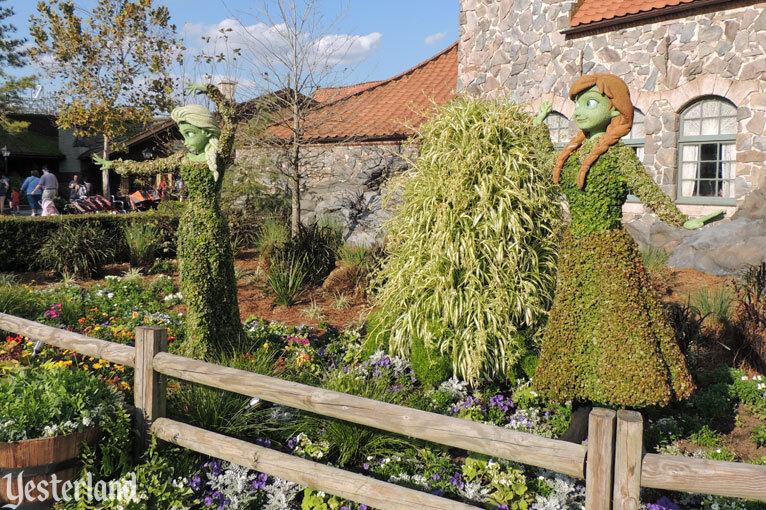 But [Disney Chief Operating Officer Tom Staggs] argued that “Frozen Ever After” is sure to draw more visitors to the Norway Pavilion, and Epcot as a whole, and that the movie is in fact based significantly on Scandinavian culture, art and mythology. Frozen Ever After opened on June 21, 2016—and immediately generated favorable reviews. The best part of Maelstrom had been its ride system—beautifully detailed boats rising up a lift hill, floating quickly past show scenes, changing direction twice, and finally dropping back to ground level with just enough of a thrill element. Frozen Ever After reuses the ride system, but it’s far more than a simple overlay. Gone is the mishmash of blacklight Vikings, river trolls, polar bears, and a model oil platform. The former post-ride movie theater is now a detailed interactive queue, complete with Wandering Oaken’s Trading Post. The load area has moved, so the former queue room is now a large opening scene featuring Olaf. Olaf, Princess Anna, Queen Elsa, Kristoff, Sven, the trolls, and Marshmallow—portrayed with state-of-the-art animatronics—occupy a world of memorable music from the film and dazzling special effects. The question remains… should World Showcase become a series of Disney fantasy realms? Epcot never became the “permanent world’s fair” it was intended to be. Governments around the world, including those that wouldn’t miss a real world’s fair, have almost completely ignored World Showcase. 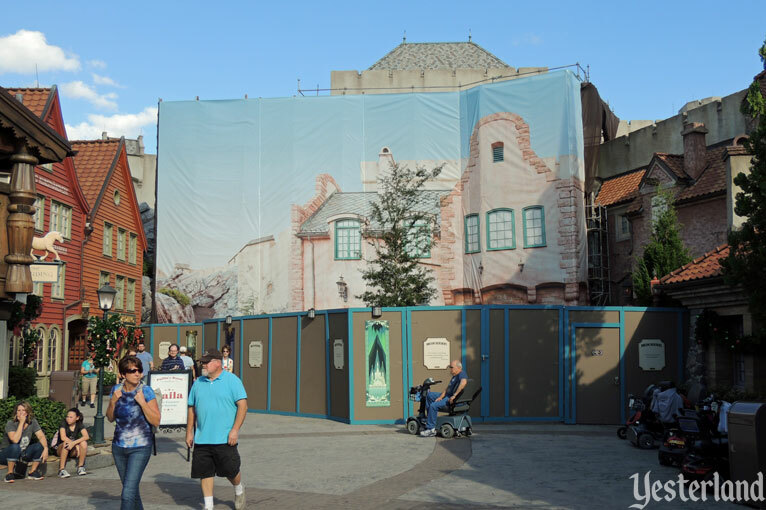 And Mr. Staggs will almost certainly turn out to be right about more visitors being drawn to the transformed Norway Pavilion. We know what has happened to Norway. What’s next for the rest of World Showcase?